Mon., Aug. 6, 2018, 3:25 p.m.
ALEXANDRIA, Va. – The government’s star witness in the financial fraud trial of Paul Manafort testified Monday that he embezzled hundreds of thousands of dollars from the former Trump campaign chairman – and told jurors he and Manafort committed crimes together. 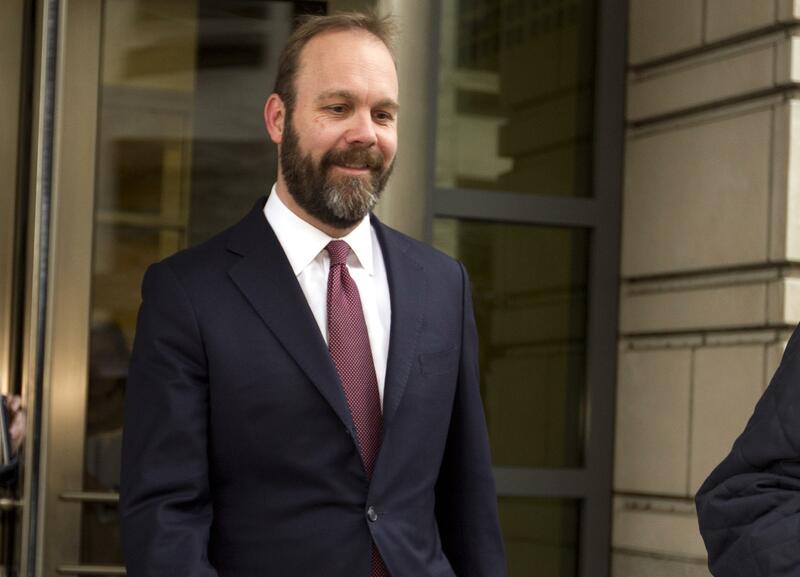 Rick Gates has been regarded as a crucial witness for the government ever since he pleaded guilty this year to two felony charges and agreed to cooperate in special counsel Robert Mueller’s investigation into possible ties between Russia and the Trump campaign. In the beginning of a hugely anticipated courtroom showdown, Gates told jurors that he siphoned off the money without Manafort’s knowledge by filing false expense reports. He also admitted to concealing millions of dollars in foreign bank accounts on Manafort’s behalf and to falsifying loan applications and other documents to help Manafort obtain more in bank loans. Manafort’s defense has sought to blame Gates, described by witnesses as his “right-hand man,” for any illegal conduct and accused him of embezzling millions of dollars from Manafort. Gates, who also served in a senior role in Donald Trump’s presidential campaign, is expected to face aggressive cross-examination once prosecutors are finished questioning him. Gates pleaded guilty to financial fraud and to lying to investigators as he negotiated a plea agreement, something defense lawyers will no doubt seize on to try to undercut his credibility. He is awaiting sentencing and his ability to secure leniency from the government depends on him being cooperative and forthcoming with the jury. The criminal case has nothing to do with either man’s work for the Trump campaign and there’s been no discussion during the trial about whether the Trump campaign coordinated with Russia – the central question Mueller’s team has tried to answer. But Trump has shown interest in the proceedings, tweeting support for Manafort and suggesting that he had been treated worse than gangster Al Capone. The trial opened last week with a display of Manafort’s opulent lifestyle, then progressed into testimony about what prosecutors say were years of financial deception. In calling Gates, the government will present jurors with the firsthand account of a co-conspirator expected to say Manafort was knee-deep in an alleged scheme to hide millions of dollars from the IRS and defraud several banks. During the questioning, U.S. District Judge T.S. Ellis III will be both referee and wild card. He has played those roles throughout the trial, repeatedly scolding prosecutors to rein in their depictions of Manafort’s lavish lifestyle and demanding that they “move it along.” It is not a crime, he has said several times, to be rich and to spend ostentatiously. One by one, a retired carpenter, a natty clothier and a high-end landscaper detailed how Manafort paid them in international wire transfers from offshore companies. Prosecutors say Manafort used those companies to stash millions of dollars from his Ukrainian consulting work, proceeds he omitted year-after-year from his income tax returns. Later, they say, when that income dwindled, Manafort launched a different scheme, shoring up his struggling finances by using doctored documents to obtain millions more in bank loans. On Friday, a tax preparer named Cindy Laporta admitted that she helped disguise $900,000 in foreign income as a loan in order to reduce Manafort’s tax burden. Laporta, who testified under an immunity deal with the government, acknowledged that she agreed under pressure from Gates to alter a tax document for one of Manafort’s businesses. All told, prosecutors allege that Manafort failed to report a “significant percentage” of the more than $60 million they say he received from Ukrainian oligarchs. They sought to show jurors how that money flowed from more than a dozen shell companies used to stash the income in Cyprus. Though the names of those companies appeared on wire transfers and at times on his bookkeeper’s ledger, both Manafort’s accountants and his bookkeeper say they never knew that the companies – and corresponding offshore bank accounts – were controlled by Manafort. When they appeared, the bookkeeper and accountants said, they thought the companies were clients or, in some cases, lenders. But defense lawyers are trying to convince the jury that Manafort was consumed by his consulting business and left the particulars of his finances to professionals and, in particular, to Gates. Published: Aug. 6, 2018, 3:25 p.m.